The now-defunct television show, America’s Best Dance Crew, is responsible for bringing otherwise obscure dancers to the spotlight. They achieved this by giving both local and international dance crews the opportunity to compete for a grand prize by showing off their talent and skill. One of the dance groups that competed on this show was Mos Wanted, a dance crew in which Ian Eastwood was a part of. Since his turn on the show, Ian has gone on to build an impressive career for himself. Keep reading to learn more about him. On the 16th of April, 1993, Julia and Peter Eastwood welcomed their child, Ian Anthony Eastwood, to the world. He was born in Chicago, Illinois, where he also spent his childhood. For his high school education, he attended Oak Park and River Forest High school. He has stated in several interviews that he had to learn to balance school work with his dancing, which was taking up his time at school. 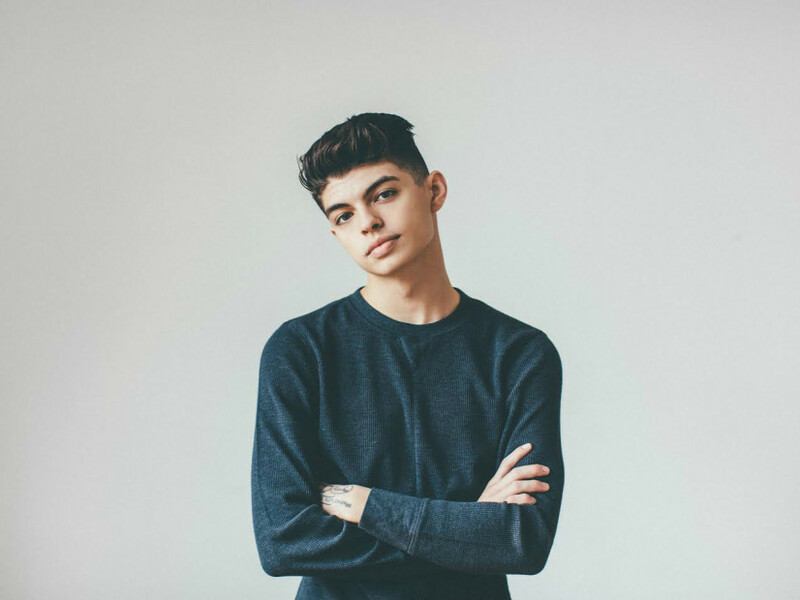 After successfully doing so, Ian Eastwood decided to forego a university education when he graduated from high school as he chose to instead focus all his resources on starting a career in dancing. In 2012, his career as a dancer experienced growth when he joined the dance crew, Mos Wanted and competed on the dance show, America’s Best Dance Crew. Sadly, the crew, which had a successful run on the show, did not win the grand prize. However, this was not a hindrance to Eastwood’s career as that same year, he had a guest appearance on the fifteenth season of Dancing with the Stars. America’s Best Dance Crew and Dancing with the Stars are not the only dance competitions that Ian Eastwood has been part of. In 2017, he was part of the dance competition show, World of Dance as a member of the Young Lions. From then onwards, he has led a successful career in dancing, appearing in a number of music videos and working as a choreographer. Ian Eastwood has stated in an interview that he is more driven towards choreography than he is to dance. This was the reason he decided to focus on choreographing at a young age. Honing this skill from his childhood was what opened doors for him in the music industry. His choreography presented him with the opportunity to choreograph music videos for artists like Chance the Rapper and Childish Gambino, who Eastwood has described as a big inspiration to him. Eastwood has also found a way to start a career in the film industry. He was one of the principal characters in the 2016 movie, High Strung, a dance film that examines the relationship between classical music and hip-hop dancing. Ian’s parents, Peter and Julia, are artists and as a result, they are very liberal in the choices he makes. This is why his decision to go into dancing at the age of thirteen was met without resistance by his parents who were willing to support him in whatever path he had chosen to tread. Speaking of his personal life, Ian Eastwood was previously in a relationship with fellow dancer and choreographer, Megan Batoon. The two began dating in 2014 but have reportedly gone their separate ways. At the moment, Ian is single and choosing to focus on his dancing career. • By the time Ian Eastwood was 13, he started to post dance videos on the video streaming site, YouTube; this was his first point of contact with fame. • He has received training in ballet, jazz, hip-hop, and ballroom dancing; all of which have contributed to his versatility that can be noticed during his dance sequences. • Eastwood’s onscreen appearances are not limited to movies and music videos. He has appeared in a number of commercials as well. • The Young Lions dance group he was part of for the World of Dance Competition is also a company that he began with his parents. The company is targeted at kids who have an interest in dance and they also have a clothing line as well as a dance workshop. • Ian Eastwood’s interests are not just aimed at the entertainment industry. He has a keen interest in baseball, and although it has waned since he started dancing, he still finds time to play the sport.